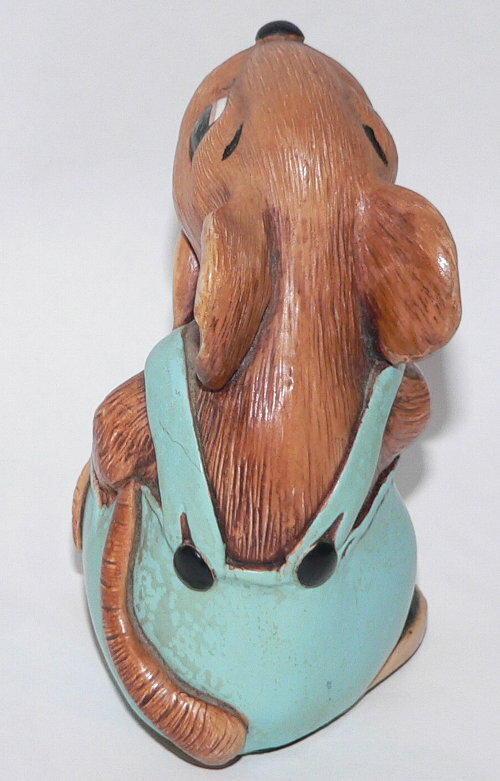 PenDelfin Father mouse designed by Jean Walsmley Heap. 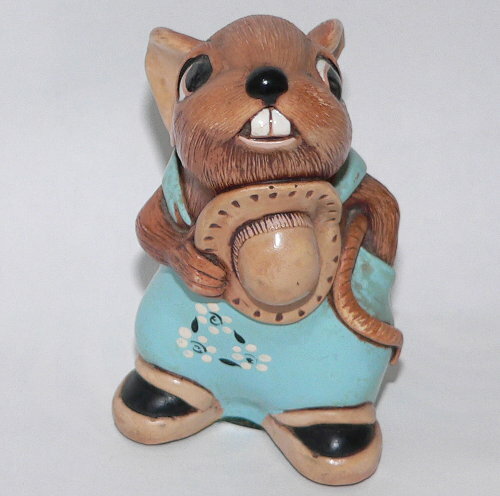 The PenDelfin Father mouse was produced by the PenDelfin Studios from c1961 until 1966. 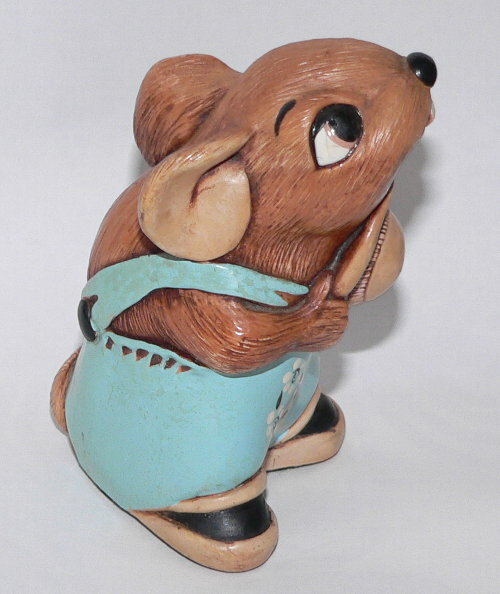 This is a brown PenDelfin mouse who is wearing blue trousers decorated with a little white flower. Perfect for any PenDelfin Mother Mouse! 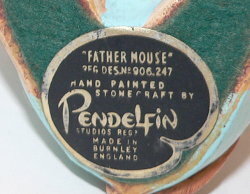 On his base this PenDelfin mouse has his green felt and PenDelfin artist palette, Father Mouse, label. Condition: Very good overall condition with just a couple of paint flakes and small chip to his ear. 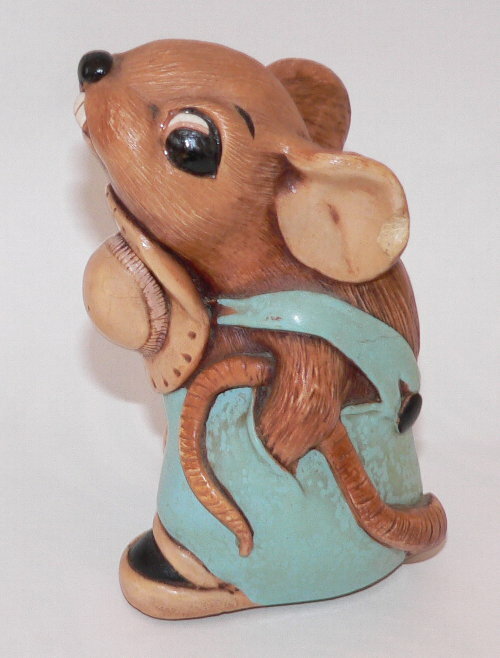 A lovely PenDelfin Mouse - a nice change to mix up all those PenDelfin bunnies!